When I am done with the music club for the day, I met up with Kotomi and my cloned self, who is sleeping. The former was surprised on seeing me, but was somewhat expecting me to appear. Upon seeing the device, she said that she saw sketches of it in her uncle's office in April last year, some time before I first met her. However, she did not know what the documents with it says as it was written in a language she couldn't understand and that she only had a glimpse of it before the director tried to hide it from her. That was when she found it suspicious. However, that was the last time she knew about that device. Recalling that I was cloned, she asked me if the device with me is the same as that of my clone. Without touching it, Kotomi thoroughly examined the device on my sleeping self to her left, compared with mine and I told her what I knew about it. Judging from her facial expression, she seemed to have found something interesting that I might not know: she didn't tell. She did something to have it say "authorization approved" and then did something to have the device to do something at the beginning of December this year on mine, but did not do the same thing with the one on my clone. The disappointed look she had on the face since I met her after turning into a girl suddenly turned into a large broad smile. What was that all about? Her reply to what she did was: "You will find out on that day!" in a cheerful voice. "About that thing...", I said as she was looking at my sleeping clone as though trying to spot differences between me and it. "Oh, the machine you came across at the science research department of this school? I made it, just the month before you came across it.Of course, with the help of several others." she replied. She then describe what she knows about it, most of which I don't understand. What I do know is that it is a cloning machine. From the point of the person being cloned, they could either end up with the cloned body or remain with the original, which no one can predict or tell. It's like my alter ego now having its own body. She add on to say that, unless they have multiple personalities, the later the age of the subject that is being cloned at that time, the more likely that both will behave exactly the same. For example, a person who is cloned as a baby would encounter different things like when the parents divorce where one may take one of them, or significant events that happened to one but not to the other, resulting in completely different results in the behavior and achievements than the other, whereas one who is in their mid-teens onwards is most likely to be doing the same or assisting things. So the first example would have one treat the other as a sibling, while the second example would be treat as their other self. Unless the minds are merged (in my case), it is quite rare for one or all instances of that person to be able to control or even be aware of the other. As a safety measure, it won't work for people with evil intentions, but it can't tell people without evil intentions and the absolutely clueless who may not even know what the machine is apart. She also said why I was able to easily enter the room and get cloned easily was because I am a staff of the company that room belongs to, knew certain people there well enough (Kotomi? Aiko? Manager? Director?) before knowing what the machine is for, and working on a related project. Although not obvious, there are security measures in place to prevent theft: one of them is having people feel not to approach the building, but not so strong as to completely avoid that building that has other research rooms belonging to the university or other organizations, which explains why I hardly see anyone there. Even if they do get through, they would not have the feeling to steal anything. She doesn't seem to be aware about Mamiko's body being modified at her hospital when I went on a holiday to that country during the summer vacation. Before the end of the day we soon departed. Kotomi hopes that I would turn up for her event quite soon. I am now left with my clone, who suddenly wakes up from the moment Kotomi is out of my sight. You know, since my mind is merged with my clone, I had never spoken a single word to it. The same is true for the reverse, but this is because I am her: whatever my thoughts are is hers too, but I can make both bodies say, do, or behave in completely different ways at the same time at different places. There is this awkward silence during transit or at home with Mamiko, but talking to her is like talking to myself. Besides, I already know what she was up to when I was with the band from the time we separated at the toilet, to the time I met her again with Kotomi without anyone telling me. Whenever I feel lonely from not seeing my parents for quite a while at home or sad, Mamiko would pop out of nowhere and hugged me tightly, sobbing, if she's nearby. Not only do I feel being hugged, it also feels like I'm hugging someone out of sadness at the same time. Then again, she has been through horrors more than me. During the remaining 2 days of the event, the timings for our performance are different. Neither Aiko or Kotomi dropped by to see me as they have their own things to do. On the third and final day, could see large dark clouds. Strong, cold, winds blew around us as my band was just about to set up and had to head indoors. We had to hurry as I saw a bolt of lightning and, almost immediately, a very loud thunder. I don't know where I am, but all I could see is rain blowing at my face that makes my visibility of only a few feet in front of me and the lightning would strike somewhere near me. I shouted for help with all that I could, but I knew this would be useless with the noise from the rain drowning my shouts. However, I noticed that the way I shouted tells me that I am controling my clone's body. 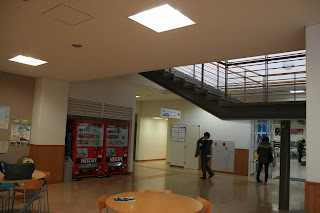 After what seemed like forever, I encounted a building that had a familiar interior: the Science Research Department! The interior doesn't seem to be decorated for the festival at all. In the room I got clonned at, I now noticed that, apart from that machine, the things here are smillar to the ones to the branch where I work at. As I got close to the device, I noticed that a connecting interface for the device in question would appear on me. This gave me the idea of being able to see my memories through a computer. I found a data cable and connected to one of the computer rooms nearby. However, the one on me appeared at an odd place: under my skirt. However, this is the only convent location based on what I'm wearing and it would be difficult to move or see what I'm doing if it were to be around my head. From the moment I connected myself to the computer, it seemed to find multiple devices. Odd ones I see include a program that "came with me" of what my original body and I are seeing, hearing, saying and thinking right now and is scarily accurate. Out of surprise, I tried to run as far away from the computer as possible. Barely after trying to get away, I fell and could only go as far as the cable I'm connected to, which is shorter than 5 meters. Strangely, that PC didn't even budge when I tripped, despite me being able to lift it and I can't unplug that cable I'm connected by myself with all my might unless someone else does so or when it's safe to remove. How strange. It seems that the program that displays what I'm seeing from earlier is still running. I opened what the computer detected as a drive and saw that all of my memories are in it, including childhood memories that I thought I had forgotten. It's ridiculously several thousands of times larger than the largest computer memory drive I know of! Also, it's dangerous to modify people's memories, especially mine! When I played music regardless of where it's stored, I would somehow be singing perfectly to that song in my voice, as though my vocal cords were the speakers. 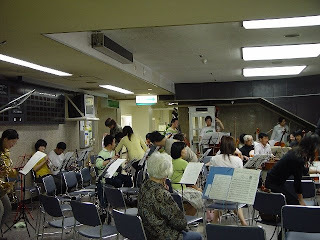 Background music became humming, unless there is singing for that part, which would be excluded. This ability is quite useful if I were to perform that involves singing, or speaking to a large audience and got too nervous. Not wanting to be found out, I had to shut down the computer the proper way before I could unplug myself. The rain had became light when I left. When I had a break at a corner with a vending machine, people in the band whom I don't know approached me. Based on the questions they asked me, it seems that (in this dimension) I was a child prodigy. I blushed when I heard this. Well, this would explain how my current living condition came about, which is a stark contrast to what I was living in before. At that time, my cloned body appeared, back from the science research section, and was smiling broadly. She didn't seemed to be aware of it. When I saw it, she tried her best to stop her grinning. Fortunately, she managed to do so by the time the people I'm chatting with turned to see what I was looking at. I intorduced her to them as Mamiko, my twin sister (who my clone that I can control actually) and the three of them introduced themselves. Those two said nice things about me and I, via my clone, replied back. Afterwards, we (me and Mamiko) finally get to explore the exhibitions of the school. Good thing that the event extends into quite late at night for the last day. At night, we looked at the full moon with its lights shining at us with the clouds in between is a nice sight when viewed at the side of the school's largest lake or the top of the hill. 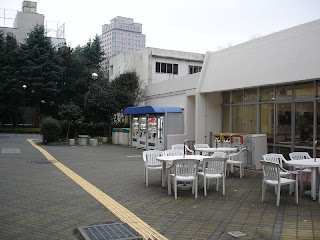 As the dormitories are nearby, there were no staff walking around to disturb us.